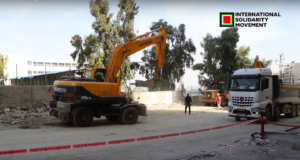 Israeli forces delivered home demolition notices to two Palestinian homeowners in al-Ma’sara, a village south of Bethlehem, under the pretext that they were built without a permit in an area under full Israel control, said head of the village council Samir Zawahra on Saturday. 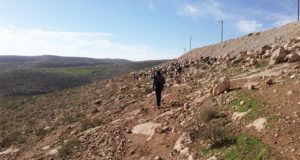 He said Israeli soldiers placed the notices near the two houses, which were in their final stage of construction. Zawahra accused the Israeli authorities of plotting to empty the area of its Palestinian residents in order to take over the land for the benefit of nearby settlements. 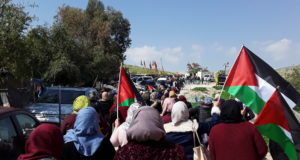 He said the Israeli escalation comes in the wake of the weekly non-violent demonstration in the village to protest settlement expansion and the construction of the Apartheid Wall on village land.